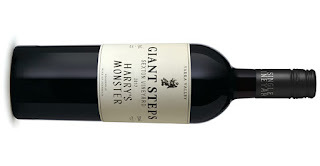 Age shall not weary the mighty Harry's Monster. After a few days of tasting, this was still bristling. Embrace the beauty. Off the Sexton vineyard which sits 130-210 metres above, it's a blend of Cabernet, Merlot and Petit Verdot (54/33/13). Blackberry jam getting a rails run early. It's juicy with flecks of clove, kicks of earth, and flashes of cool mint edging their way to the fore too. A wine with meat on the bones, but there's an undisputed energy still rattling through. Medium bodied, it just feels good - beautifully balanced. A long and plentiful finish give plenty to contemplate. A wine to share with friends sitting around a table recalling old times peppered with much laughter.